The only energy expended in the last week was a 20 miler to recce the Lavender at Shoreham so Sunday needed more than the promised 8. 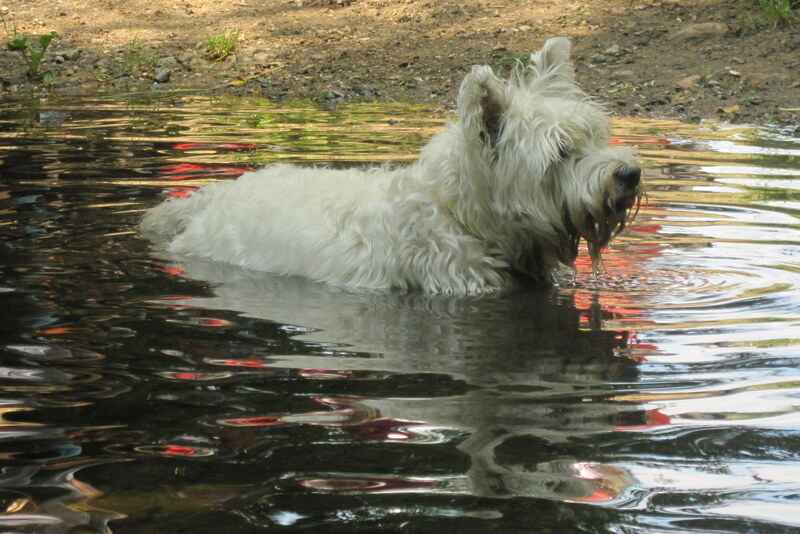 First check all mutts to see if we had a willing walker, nope yet again not a sniff of interest so off to Eynsford in the trusty Polo sans man’s best friend…or was I? No parking fees at Eynsford station, good news for these tough times…08.30 and off to Eynsford Castle (shut due to vandals) – Lullingstone Country Park – Shoreham and then Otford station to meet the gang. Striding past the Poppies and along the riverside low route, with a bit of a detour on the golf course, sorry chaps, I made great time so had a 40 minute wait for the train that would deliver the other Lavender hounds. Oh my goodness a little chap called Harry could tell I needed a mate to walk with, well he barely said hi and whilst he had nothing on Rufus or Grizzle he was cute enough and also loved a paddle. (TJ my London pal had also decided to come on down and stride out after all, better-and-better). 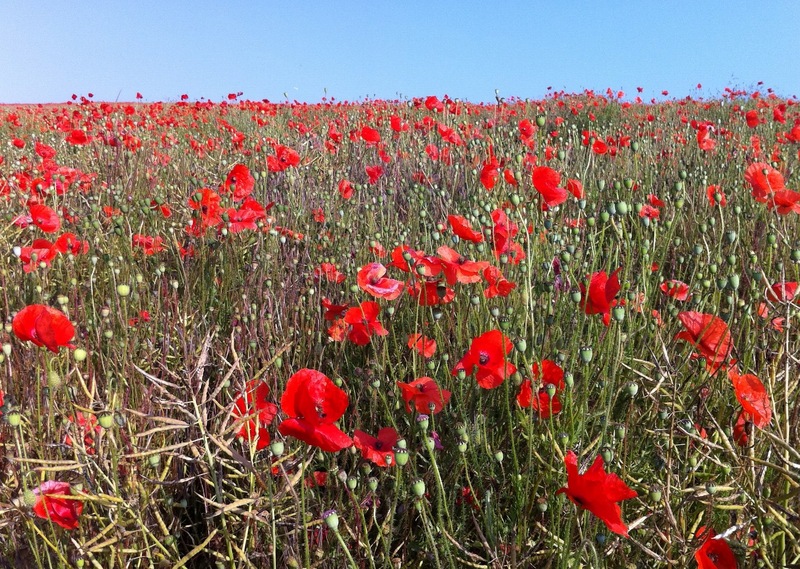 This is a neat little walk with stunning views, whatever the season, but due to the Lavender and Poppies this year, wow it really was special. 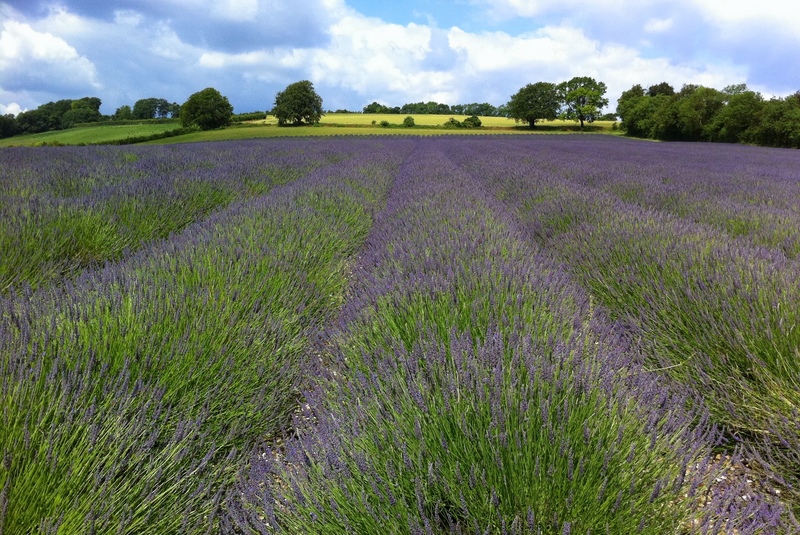 The Lavender Festival at the Castle Farm Hop Shop is on next weekend as well, 9th and 10th July, and is worth a visit if only to get a slab of cake from the WI tent or a Lavender massage in the Lavender fields…bizarre. Having had tea and cake (note this is only a feature on the festival weekends) we marched up hill and down dale and then onto Lullingstone’s Roman Villa, yet another must see, though time decided we mustn’t. A lucky weekend with the weather and one of the nicest walks of the year, jump on that train to Otford and find out for yourself.